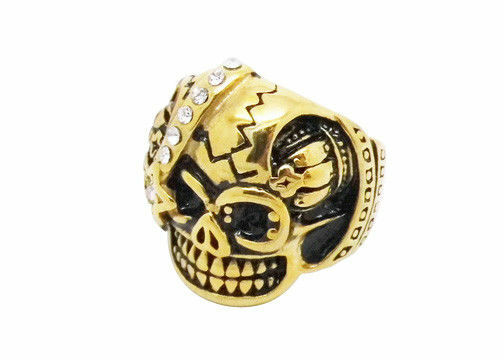 Stainless steel rings with 2-tone broken head skull shape. Material: 304 or 316 stainless steel with different quality and cost. This ring is shine polished without any scratching, and it has cute small white rhinestones.